My name is Josh and I currently live in Anchorage Alaska. I plan on creating a First order TK kit and after I get through planning and budgeting it out I will eventually need a little help in the way of finding vendors willing to ship to Alaska. 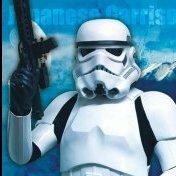 I have a 501st approved vendor for boots and gloves that a family member has used and also armor, however I am still doing the research on where I can get the suit, seals blaster... ect from. I plan on scouring the forum and speaking with a couple of the local TK's before I go bugging people on here. Thanks! Have a look at this thread, can be quite helpful. Looking forward to seeing a build thread from you soon, good luck. Welcome to the FISD, Josh! Don't worry about bugging anyone - we are here to help. That said, taking your time and doing research is a very good start. Good luck! I like being bugged. Welcome! Welcome to the FISD Josh! Welcome to the FISD. Everyone loves to help around here, so feel free to ask whatever you’d like. Welcome! I was actually up there in Eielson only a few months ago. Good luck on your build and I'm sure you'll be able to find all the help you need here and from your local troopers. Everyone I've met so far has be more than happy to assist and share their knowledge. You'll be trooping in no time. Welcome! Glad to see you here! Hi and welcome to fisd!! Hi Josh and welcome aboard future Trooper! Have a read in the “Getting Started-Read this First” section, as there is some really good info in there for new members. Then, have a read in “Costuming and Builds” section to discover other troopers who are building (or have built) the same armor as you! Really good tips, examples, pictures, previously answered questions, and successes here. If, and when, you’re looking for other bits –and-pieces, accessories, boots, blasters, electronics, etc., be sure to check out the “Imperial Commissary/PX” section for items for sale, project runs, and for other stuff that most of the troopers use. Also, make contact with your local Garrison. They’ll help guide you through the process of becoming a member of the 501st, and may have local Armor Parties in the works where you can get hands-on build advice and guidance, not to mention meet members of your future Garrison. So, start a build thread here on FISD; post lots of pictures and questions. We are all here to help you out and to make sure you look your best, and represent the 501st as best as possible. All the best on your TK journey! Welcome to FISD! You've come to the right place. Check out the build threads for assembly tips, tricks, and known issues to be aware of. The Various Types of Armor and Where to Find Them list will guide you to the right armor for you. I do not personally recommend Anovos (or aNOvos, as we call them locally), because of a variety of issues. I have KB Props and while they had some issues with production a while ago, I've heard they're back on track. If going KB, ask for the kit untrimmed (they don't do the greatest job trimming and you'll save yourself headache later). I want to say KB is in Vegas, and I haven't heard of them not shipping to Alaska, I think they do international, so I'd assume they'd do Alaska. Just drop them a line and ask. Jimmi makes a good kit, but he's in the Philippines, so there might be shipping issues, there might not be- again, I'd just ask him. 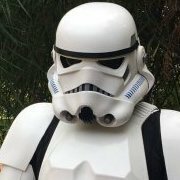 You can snag some soft parts that are "generic" (ie, not 501st specific) on various places like Amazon, eBay, etc., but only certain parts- never get armor or 501st specific stuff there. I got my undersuits from Eastbay and Amazon, for example (Eastbay always has sales, so only buy while on sale). I also highly recommend getting more than one undersuit/undersuit set- even in Alaska, you're going to get hot in the armor, and with extras you don't have to wash it every time. I also got some of my electronics on Amazon (a wireless mic, cooling fans to assembly myself). You'll want cooling fans for your helmet- the lenses can fog and it's just vastly more comfortable with airflow, hot or cold outside. I recommend a mic set up and some point, because you just end up yelling at yourself inside the bucket. And kids (and adults) get a real kick out of it when you respond to them with an actual voice. iComm for static bursts, and an Aker (get a genuine one- just shell out and do it, I had terrible luck with the cheapies and ending up buying multiples when they crapped out and should have just got the real one first and been done). For my Phasma I have Heston3DSolutions F-11D, with lights. It's 3D printed so it's on the more fragile side, but I'm not aware of any FOTK blasters in hyperfirm/rubberized yet (hint, hint makers! lol). https://www.etsy.com/listing/245791161/f-11d-blaster-11-scale Blasters aren't required for basic approval, but let's face it, if you're a TK, you more likely than not want a blaster. I've now seen Imperial Boots FOTK boots in person, and they were great- I recommend. (I've also seen their OT boots and they're great, too). They do wave ordering- meaning they open, take orders, shut down, ship out said orders, then reopen and repeat. So plan ahead. All the internal bits, like nylon webbing for strapping, elastics, etc., can be found on Amazon and local sewing/craft stores. I recommend always getting heavy-duty rated if available, especially with elastic- otherwise it will stretch out quickly and you'll end up re-doing it. I have Geeky Pink's gaskets for Phasma (same as FOTK) and they're phantastic. She also did my neck seal. (EDIT: See her response below for a belt setup option- I'd trust anything she recommends). WhiteArmor is a fantastic resource, but nothing beats local assistance! Connect with your local Garrison members and get involved. I'm sure they can use handlers, where you can learn about how the 501st operates, how the garrison operates, meet people, get advise, there's simply no substitute for it. Good luck! And ask ALL the questions! That's what WhiteArmor is for! I have Geeky Pink's gaskets for Phasma (same as FOTK) and they're phantastic. She also did my neck seal. (She might also do belts? Not positive, but check out her sales thread on here, it will explain everything). Thank you!!!! I’m very happy you like your gaskets! Hello TK! Welcome to the FISD!!!!! Yes, thank you! I realized over the weekend when talking with another potential FOTK that I was mixing up vendors. Oops! Hi Josh. Welcome aboard. TFA trooper is a great choice. Anovos is supposed to finally get their new TFA kits out this year but I am not holding my breath for that. There have been some openings for slots to buy a kit but again it is a risk with time. If you want something sooner there are a few other options with quick turnaround times.